Adopted on August 13, 1986. The Arizona tree frog is the Arizona state amphibian. It is small, usually 3/4 to 2 inches long. The tree frog is commonly green but can also be 1700 W. Washington Street, Fl. 7 Phoenix, Arizona 85007 State Capitol Arizona's state capital is the city of Phoenix. Winged Victory is the name of the statue on top of the copper dome of the state capitol. gold or bronze-colored. It sports a dark stripe that starts at the snout and runs through the eye and along its body. The stripe ends just before the rear legs. 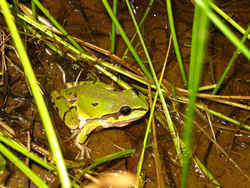 The tree frog was designated the state amphibian in 1986 - A.R.S. § 41-859. As part of the Arizona Game & Fish Commission's "Arizona Wildlife Awareness" program in 1985, school children voted for an official state mammal, reptile, fish and amphibian. 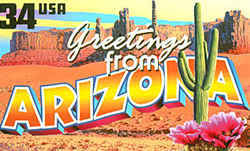 The winners were introduced to the Arizona legislature for approval. Students voted the Arizona Tree Frog their first choice by a wide margin. Legislation was introduced in the Arizona State Legislature by Representative Larry Hawke and, on August 13, 1986, the Arizona tree frog became the official state amphibian of Arizona. The mountain tree frog, (Hyla eximia,) is a species of frog in the Hylidae family endemic to Mexico. Its natural habitats are temperate forests, subtropical or tropical moist montane forests, subtropical or tropical high-altitude grassland, rivers, intermittent rivers, swamps, freshwater marshes, and intermittent freshwater marshes. The Arizona or mountain tree frog is one of two species of tree frog found in Arizona. Tree frogs are well known for their climbing abilities and are aided in these endeavors by disk-like pads at the tips of their toes. This small frog (3/4 to 2 inches long) is most commonly green but can be gold to bronze colored and sports a dark stripe that starts at its snout and runs through the eye, extends along its body and ends just before its rear legs. Occasionally its back may be spotted or barred. Both sexes are whitish underneath, but males have a tan or greenish throat. The scientific name, Hyla eximia, comes from Hylas, a figure in Greek mythology, and eximia, Latin for uncommon. The Arizona tree frog is found in the mountains of central Arizona and western New Mexico along the Mogollon Rim. 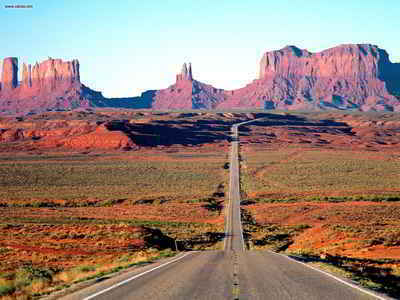 An isolated population can be found in the Huachuca Mountains in Cochise County. This may be a northern extension of the tree frogs range in Mexico. 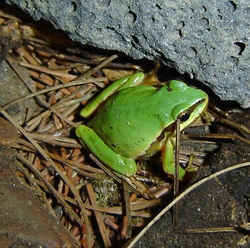 The Arizona frog is an inhabitant of oak, pine and fir forests above 5,000 feet elevations. Like many of our amphibians, Arizona tree frogs spend most of the year inactive. It is unknown where these frogs spend their dormant periods but in the early portion of the rainy season they may be heard calling sporadically from tree tops. Breeding takes place in June to August, triggered by the summer rains. At this time the frogs gather at shallow grassy pools, typically in meadows, to mate. Only the male vocalizes and the breeding call is a nasal clacking sound with one to fifteen or more notes often given in succession. Like all of the frogs and toads in Arizona, these tree frogs are primarily nocturnal although males may call during cloudy, rainy days. Their diet consists entirely of insects, shrubs, or dense grass around water where their camouflage colors aid them in hiding from predators such as garter snakes or birds. The Arizona tree frog may be possessed live or taken by legal means by the holder of a valid Arizona hunting license or special permit. 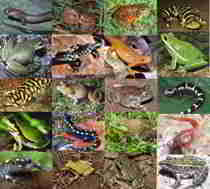 As a result of the statewide contest, a mammal, a reptile, a fish and an amphibian were adopted at the same time and codified under one section, titled "State animals". 41-859. State animals. 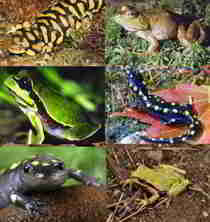 The ringtail or bassariscus astutus, the Arizona ridgenose rattlesnake or crotalus willardi, the Arizona trout or salmo apache and the Arizona tree frog or hyla eximia shall be known respectively as the state mammal, reptile, fish and amphibian.